Denali National Park and Wrangell St. Elias National Park – How Do They Compare? Deciding to go to Alaska is the easy part! 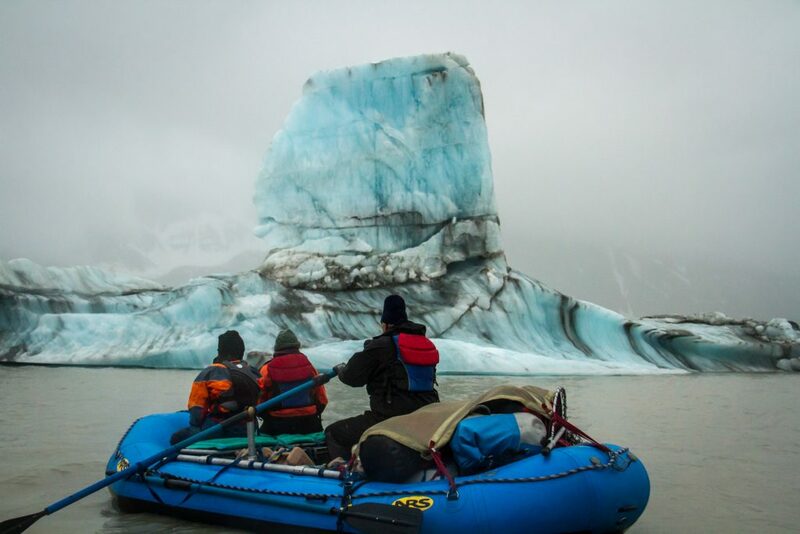 Deciding WHERE to go in Alaska – now that’s the hard part. 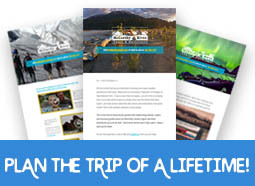 Many travelers may only go to Alaska once, and they want to experience the most that they can while they are there. 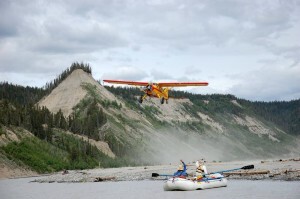 We get a lot of questions about Wrangell St. Elias National Park, where McCarthy River Tours & Outfitters is located. 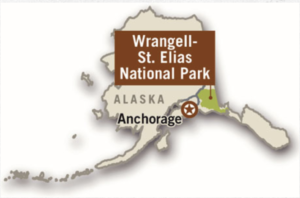 One of the most popular questions we get is: how does Denali National Park compare to Wrangell St. Elias National Park? Indeed, the challenge on a visit to Alaska is deciding what part of the Last Frontier to spend time exploring. 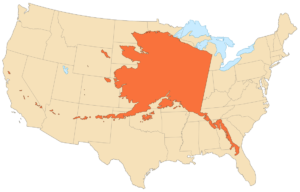 Alaska is the largest state in the United States, and is home to no less than eight national parks. Whittling down your options ends up being a question of access, which leads you to scribble two names on your list. Denali National Park, and Wrangell St.Elias National Park. Both are relatively straightforward to get to from Anchorage, Alaska. Both are raved about on reviews from fellow travelers. Both offer great outdoor activities and adventures. Denali is a recognized staple within our continent, being North America’s highest peak (20,320 feet) and both the third mostprominent, and third most isolated, peak on Earth after Mount Everest and Aconcagua mountain. So it’s no wonder that visiting the Denali National Park is high on everyone’s bucket list; there is something to be said for feeling the presence of this mountain no matter where you are within the 6-million acres of the park. 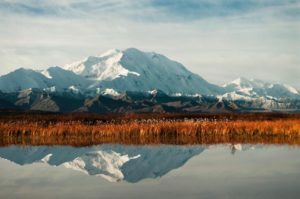 Big, famous mountain aside, Denali National Park is also a favorite to travelers because of how it offers that feeling of being worlds away from civilization without needing to worry too much about available resources and amenities. In 2017, the park saw close over 642,000 visitors come through—and because of this tourism, you have the option of luxury lodges to stay in, restaurants and bars to visit, and a handful of other fun options like local theatre shows and zip lining adventures, to name a few. Even accessing the park offers more sense of security. Your drive from Anchorage will offer epic scenery, but once you get to Denali National Park, private vehicles are only allowed to access a small portion of the road. To continue on through the park, you have to jump on a privately-operated tour shuttle bus. In fact, because there are very few designated hiking trails for day trips, many travelers will hop off the park shuttle anywhere and flag down another whenever you’re ready to! Talk to the locals of McCarthy, the small town in the heart of Wrangell St. Elias National Park, and they’ll tell you that this is “Authentic Alaska.” You won’t find any large concession contracts here, unlike other national parks. In McCarthy, you are about to step into the heart of a remote town and the surrounding wild. For starters, there’s something to be said for how truly untouched this national park is. With 13.2 million acres of land, and having only seen a little more than 10% of what Denali National Park saw for visitors in 2017 (approximately 68,000 people)… there is a true sense of remote vastness you can experience—and it starts with the breathtaking day’s drive into the park, where you come to the small town of McCarthy and the remnants of Kennicott, which was a gold- and copper-mining hub in the early days of the 20th century. 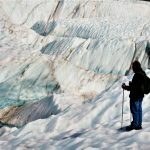 Because Wrangell St. Elias National Park sees much less by way of tourism, seasonal resources and amenities are limited to what is available within McCarthy and the surrounding area. But hang on to your hat, because the things to see and experience here are endless no matter what your level of experience for adventure is. 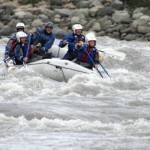 Activities range from day trips to multi-day camping trips, and range from historic walking trails through the mining ghost town, to hiking a glacier and going whitewater rafting. 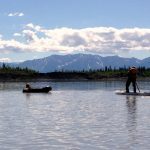 Wrangell has the highest concentration of glaciers in North America, so there are a number of kayaking and stand-up paddleboarding trips you can take on glacier-fed lakes, too. Wildlife Sightings Wildlife is easier to see on the tundra, so is spotted more frequently Densely Forested areas means wildlife is harder to see regularly. Cost of Visiting Generally more expensive, due to high visitor numbers, national concessionaires, and closer access to Anchorage Generally less expensive, due to very low visitor numbers and no national concessionaires. Available Visitor Resources Bountiful Fewer and seasonal. Town of McCarthy is inside NP. It’s true that deciding what national park to visit in Alaska is hard—but the good news is, it’s impossible to be disappointed. It’s up to you and your traveling companions for what kind of Alaska wilderness experience you want. You can experience the iconic and extremely popular Alaska wilderness area of Denali National Park, accompanied by lots of amenity choices. 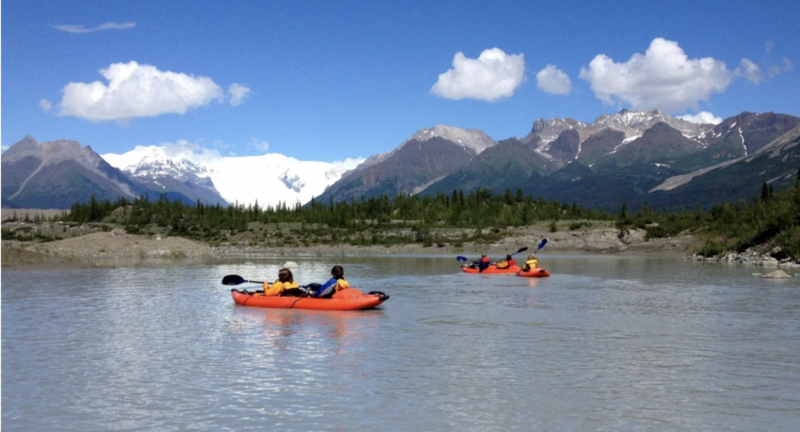 Or, you can experience Alaska “like a local” in the historic small town of McCarthy, in the middle of the expansive and uncrowded wilderness of Wrangell St. Elias National Park. Both are beautiful day drives from Anchorage (half a day for Denali, and full day for Wrangell St. Elias). No matter which park you choose, you still get to discover the thrill and sheer beauty of the last frontier. And that makes your next trip to Alaska the trip of a lifetime. 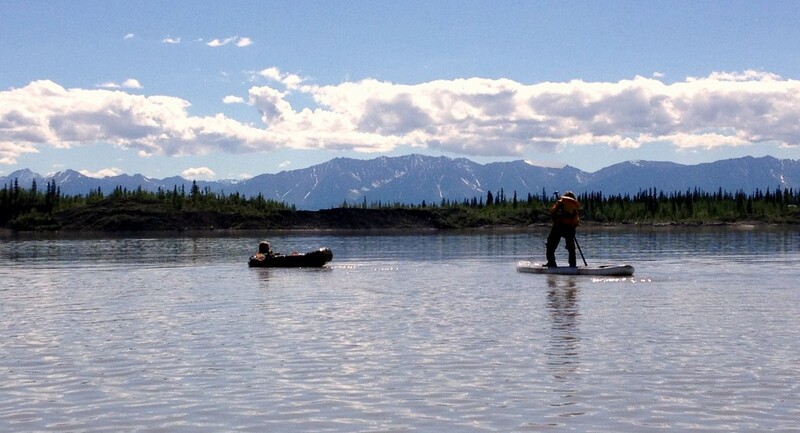 And, you just might love your Alaska experience so much that you come back and do the other park, on your next visit!